But – as crucial as these regulations are for the protection of information – they don’t go all the way. Offline data protection is, always has been, and always will be, a vital part of future proofing your business from trouble down the line. One of the most sensible things you can do to protect yourself and your business from data leaks and fraud is to use a secure, professional, shredding service. Even given the rise of digital business documentation and records, the elimination of sensitive paper trails is a long way off. The reason for keeping paper records vary widely – sometimes, businesses fall under mandated documentation laws. Sometimes, there just might not have been time to scan something in, so it’s sitting, half-remembered, in file underneath someone’s desk. Whatever the reason for the retention of these documents, once they have outlived their usefulness, they become a risk factor that you should take seriously. 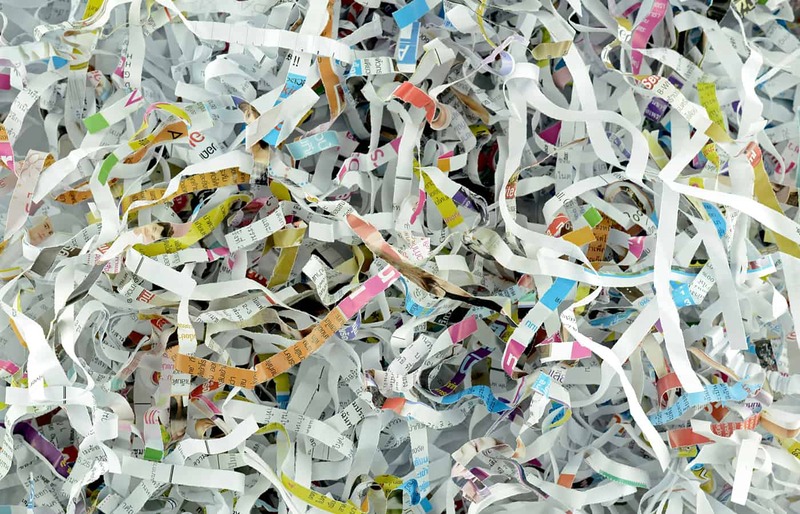 How you deal with particular documents may vary, but many experts suggest a “shred all” policy, leaving nothing to chance. So – why not just buy a shredder and do it all in-house? There’s no denying that some businesses can, and do, take responsibility for their own shredding, and do a fantastic job of it. But even if you don’t mind the large one-time purchase, or doing the extra work, you should be aware that doing your own shredding opens you up to more risk, not less. For one thing, a company-wide shredding policy has instant ramifications for the security of the data you pass around within your company: the team responsible for shredding will now have access to all of the most sensitive information in the company. A second risk factor is whether your employees will actually shred the right things: we all know that busy workers, if given a task they deem “unimportant” and which cannot be checked, might fall short. Can you guarantee that they put those bank details in the shredder rather than the bin – or, if it accidentally wound up in their briefcase, the bin of their apartment block? It should go without saying that the penalty for data for falling into the wrong hands is a strong deterrent, but there is an undoubted upside to getting it right: in a privacy obsessed and data-driven world, a clean record when it comes to handling customers’ information is a strong selling point. Streamline’s professional and secure shredding service is the perfect solution to the risk of keeping hard copies. Don’t leave your security to chance – use a professional service to deal with it, and turn it into a selling point. An onsite shredding service with certification, which can be tailored to, your requirements, with the option of shredding complete files, including the binders! Streamline offers the highest quality shredding service on the market, at highly competitive rates. To learn more about how we can help you, contact us on 01295 250171, or use the contact form on this website.